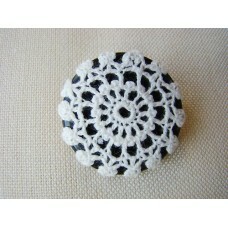 This recycled vintage button brooch is One-of-a-kind. 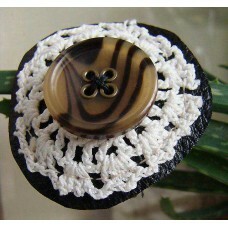 This peachy brooch is made up of two buttons, .. 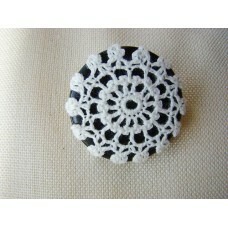 This recycled vintage button brooch is One-of-a-kind.Vintage button, black coat button, covered with.. 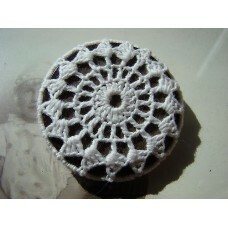 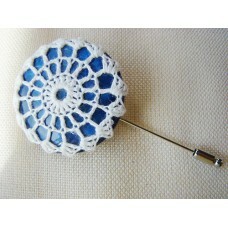 This recycled vintage button brooch is in limited supply. 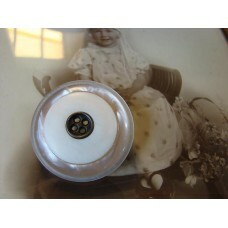 Vintage button, shiny swirls of pale blue .. 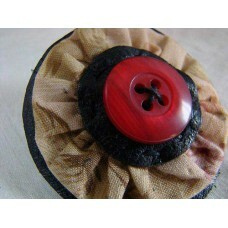 This recycled vintage button brooch is One-of-a-kind.Vintage button, big brown coat button, covered .. 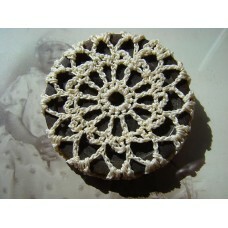 This recycled vintage button brooch is One-of-a-kind.Vintage button, brown, peeping out from behind .. 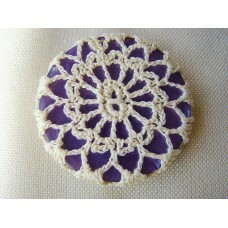 This recycled vintage button brooch is One-of-a-kind.Vintage button, big mauve-purple coat button, c.. 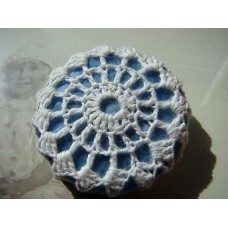 This recycled vintage button brooch is One-of-a-kind.Vintage button, shiny swirls of pale blue tones..
Vintage button, translucent red, floral fabric puff, recycled leather, attached to Brooch Pin with s..
Vintage button with metal rimmed holes, old crochet lace doily, recycled leather, attached to Brooch..